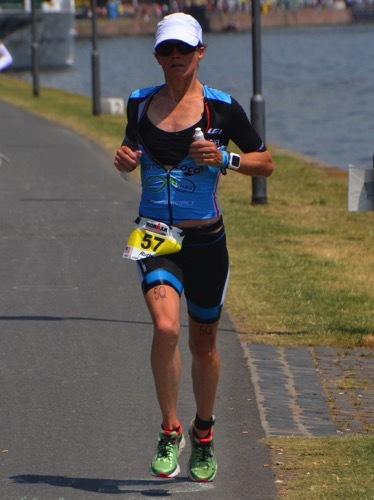 This year’s IM Germany was very hot with lots of sun and temperatures getting close to 40°C/100°F. This lead to overall slower times, an adjustment of 4:45 was a lot slower than the course rating of 12:38. 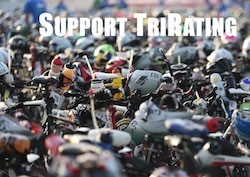 It seemed to uniformly affect the swim (non-wetsuit of course), the bike and the run. The effects on the age groupers was probably even higher. 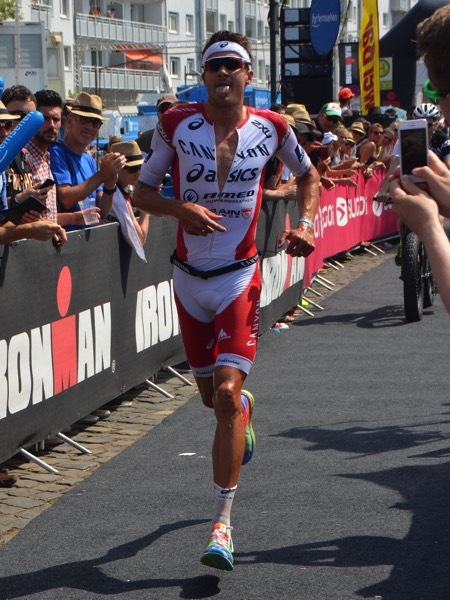 Jan Frodeno was one of the favorites going into the race, and he delivered a fantastic race with best splits on all three legs (including a 4:08 bike leg – third fastest ever on the Ironman bike leg!) and a new course record improving on Sebi’s 7:55 from last year. Sebi finished in second place, almost 12 minutes back of Frodo. Nonetheless, he had a good race not loosing to much time in the swim, improving on his bike course record from last year and then having a solid 2:56 marathon in the heat. In third place there was another German: Andi Böcherer had a very good race after struggling with injuries for the last years. Behind the top three, Bas Diederen (4th), Ty Butterfield (7th) and Eneko Llanos (8th) scored some more points for their Kona slots. Frederik Van Lierde finished fifth, but after his win in South Africa his focus was probably more on Kona in October. After struggling a bit on the swim, Andreas Raelert had a solid race, but his 6th place leaves him still short of enough points for a slot. 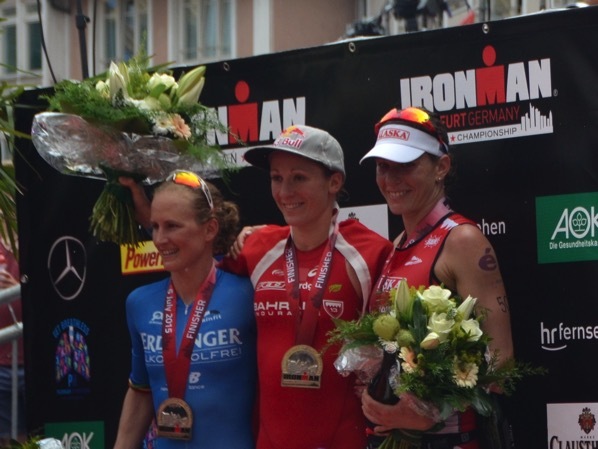 Daniela Ryf continued her impressive string of Ironman races with a solid win in Frankfurt, posting another course record. After staying in a group with Julia Gajer and Caroline Steffen until about 90k on the bike, she took off and quickly built a 7-minute lead into T2 and finished off the day with her fastest IM marathon so far. As she was hoping for, Julia Gajer managed to take another step forward in her long distance racing. She staid with Daniela and Caroline on the swim and when Daniela rode away from them, she was also able to build a lead to Caroline Steffen, starting the run 3 minutes ahead of Caroline. There were no changes in the Top 3 on the run, only the differences increased between Daniela, Julia and Caroline. Behind them, lots of positions changed. Sonja Tajsich struggled with injuries for quite some time, she had a solid day to finish in fourth. She was almost run down by Ruth Brennan-Morrey who used a 3:04:49 marathon to run her way from 9th in T2 into a 5th place finish that she needed for a Kona slot. Kristin Möller had the fastest run split of the day, the 3:01:14 took her into 6th place. Michelle Vesterby was fourth in T2 but DNF’d around the half marathon mark. She needs to do another Ironman if she wants to qualify. Tine Deckers was fifth in T2, but she finished in 7th just a few weeks after racing IM Brasil and also needs more points.